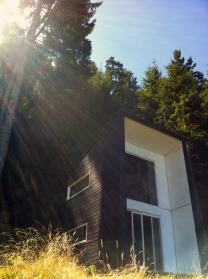 OCEANFRONT GET-AWAY with breathtaking views across Boundary Pass to San Jan Islands and the place to watch Orcas swim by! 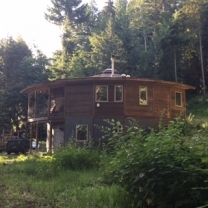 Spacious 3 bdm 2 bath split level on 4.88 acre lot in picturesque area of Saturna Island. 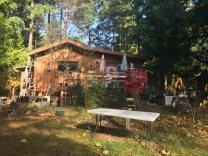 A cottage in the woods close to all the amenites. A Rare Find. Nothing like it on Saturna Island or quite possibly anywhere else in the Gulf Islands! 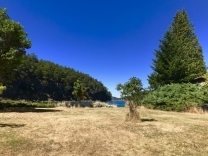 An endless beach front (571.16 feet) property with two acres of land located at the south end of Boot Cove and at the end of a public road on Mill Road. This 0.55 acre lot is in pristine condition and undeveloped waiting for your dreams to come true! Look Beyond the ordinary! With an ocean view and a flat one acre site, this beautiful Mandala Custom home can be an easy care vacation spot or full-time living. Fantastic Ocean and Mountian views from your modern designed cabin. Rare opportunity to own a revenue property on 20.6 acres of land with more development ability! This site awaits your dream home or cottage plans. Septic testing approved and hydro & water are available at the lot line.